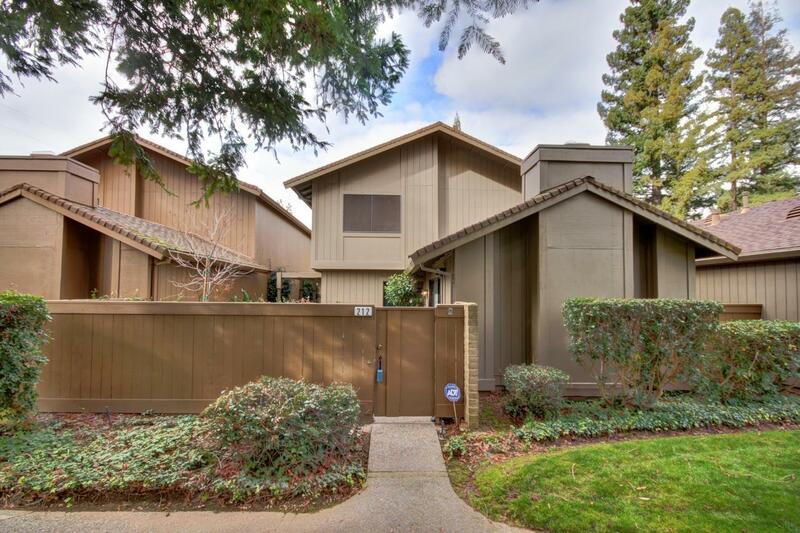 GREAT LOCATION IN EAST RANCH - CLOSE TO POOL, TENNIS COURTS & CLUBHOUSE !!! Lovely 3 bedroom 2.5 bath home with a Fully Remodeled Kitchen with quartz counter tops and two wine storage areas nearby. Light filled Living/Dining Room with beamed ceiling, built-ins & cozy fireplace looks out on the Landscaped Courtyard. The Kitchen/Breakfast Nook/Family Room area with two slider doors for easy access to the Tranquil Patio offers a special spot for coffee, glass of wine & entertaining. Upstairs is the Laundry Room, Guest Room and a perfect room for an In-Home Office with built-ins. The Master Bedroom/Bath has plenty of Closet Space, Double Sinks and Room to Move Around. East Ranch is in a prime location for shopping, dining, and easy freeway access. This is a MUST SEE COMMUNITY !! !